Workman Publishing Company, 9780761116967, 176pp. The Weedless Garden is good for plants and it's good for people. It protects the soil, contributes to plant health, reduces water needs, cuts down on a gardener's labor, encourages earthworms and, of course, mitigates weed problems by keeping the seeds dormant. Four basic tenets form the system's backbone-minimize soil disruption; protect soil surface; avoid soil compaction; use drip irrigation-and the way to get there is simple. For a new bed or established garden, layering is key, and the perfect material to use is also among the most common-newspaper. Add organic mulch and compost on top, and plants are growing in rich, self-generating humus. 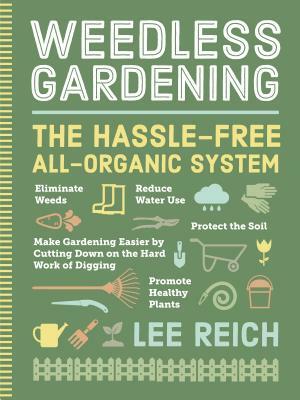 From vegetable gardening to flower gardens to planting trees, shrubs, and vines, The Weedless Garden works everywhere-allowing the gardener to work quite a bit less.